My friend Monica and I sat down to dinner last fall and had a good laugh over the various questions we’ve received as marathon runners, either while training or post-race. We compiled some of our favorites and I’ve been dying to share them with you! Usually, this question is asked in a more condescending manner. Like “how can you call yourself a runner if you’re just jogging?” Here’s the thing: no, I’m not in an all-out sprint the entire time. Most of us are not professional runners. Honestly, the only time I’m sprinting is when the finish line is in sight. I want to cross that thing!! Um, who cares? I just traveled 26.2 miles by foot! 26.2 miles. Always. Unless it has the prefix “Ultra” tacked on…then it’s even more than that. I eat more carbs than normal, but only slightly. We don’t stuff our faces with pasta and bread, as many people may imagine. We may carb load a little the night before a long run, but even that means eating one serving of pasta with vegetables and plenty of protein, not just a huge bowl of neverending pasta. Also, we get lots of good carbs from vegetables, so piling on the pasta/bread is not necessary, nor is it beneficial. Absolutely. It’s the hardest thing I’ve ever done. Every time. It never gets easier. A coach Dean Karnazes had in junior high, Jack McTavish, once told him, “If it felt good, you didn’t push hard enough. It’s supposed to hurt like hell.” We push ourselves until we hurt. Unless you are a professional long distance runner, this is the worst idea ever. Ever ever ever. 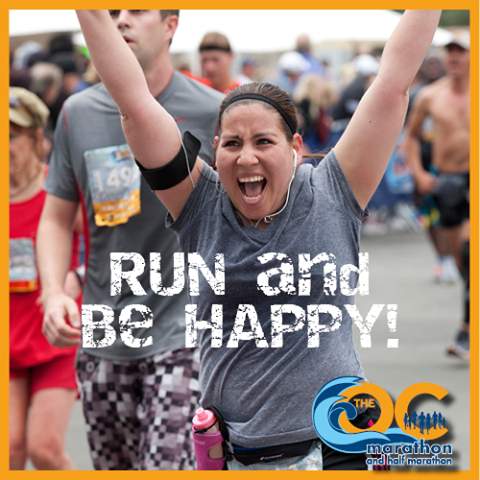 Training for a marathon isn’t just about getting your body ready–it’s about mental preparation as well. I spoke to a friend recently who had considered running a marathon last year without training, but ended up running one this year instead, fully trained. She said that she would not have been nearly prepared if she had run it last year. It’s about the focus, the research, the understanding, the preparation. When we cross that finish line, we don’t just cheers to the 26.2 miles we just ran; we cheers to the months of training, tears, blood, time, sweat, and dedication we poured into accomplishing our goal. Training is everything. Nine times out of ten, the answer is yes. Once you’ve caught the marathon bug, there’s no going back. In fact, most of us start planning for the next marathon while we’re still sore from our previous! If I’m not bragging about my time, chances are it wasn’t great. And even if it was great, I want to focus on the fact that I finished the race. And setting a PR (personal record) is much more difficult than it seems. Even shaving a minute off of your time means running a completely different race. It’s not just about running the last mile faster–it’s about running the whole thing faster. So, if we want to talk about our time, we’ll do it regardless of whether or not we’re asked. Yes. We know a lot about running. We also take precautionary measures and make sure we have the right shoes and socks, as well as additional equipment such as compression sleeves, etc. We know to ice and to listen to our bodies (though we tend to ignore them sometimes…like at mile 24). Marathon running requires extreme commitment, and most of us do as much research as possible to ensure that we are nursing our bodies the proper way. No. I…no. 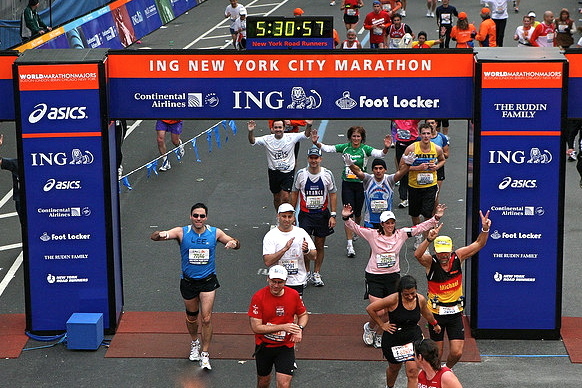 The person who wins the marathon can usually run it in under 2 1/2 hours…that’s an average pace below a 6 minute mile! Those are the people who sprint the entire distance. So no, I will never win a marathon. In fact, in the last race I ran, I was one of the last people to finish–and I was okay with that. Because my goal will always be to cross the finish line. What odd (to you) questions have you been asked while doing something you love? Are there any that I missed? This entry was posted in Fitness, Marathon Mondays, Running and tagged advice, distance running, fitness, friend, health, healthy, marathon, marathon monday, marathon runner, marathon running, motivation, perseverance, question, questions, run, runner, running. Bookmark the permalink. Haha this is AWESOME. I could hear your voice while I was reading it. Love it! I’m glad you can hear my voice–that’s my goal! Thank you so much for reading, dear friend!